"The conditions for rescue are improving. Yesterday a road reopened which was really important to allow officials to work and rescue," Mozambique´s Land Minister Celso Correa told reporters on Monday. The UN Office for the Coordination of Humanitarian Affairs´ Sebastian Rhodes Stampa also said Monday that 30 aid missions were flying in while others were going by road "so we can really deliver volume". Buzi, one of Mozambique´s worst-hit towns located 30 kilometres (19 miles) southwest of the city of Beira, became reachable by road on Monday -- for the first time since the storm hit. 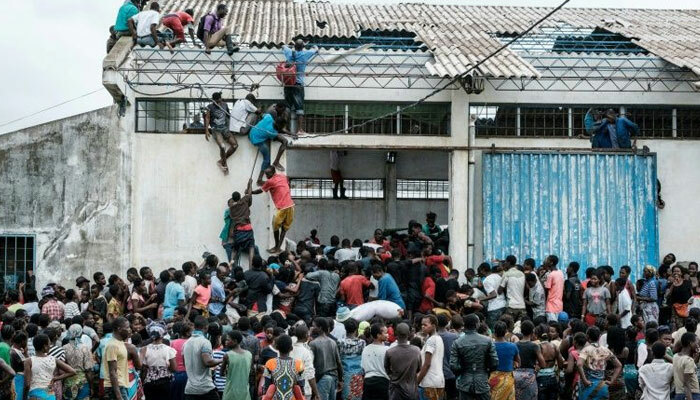 Medical services in the affected region were stretched even before the cyclone hit and according to aid group Doctors Without Borders (MSF), Beira hospital´s operating theatre sustained serious damage. As many as 17 health centres have lost their roofs, it added in a statement.